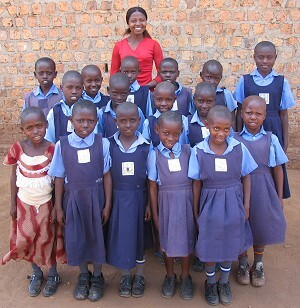 Life in Uganda presents the children and their parents with many challenges that they have to face on a daily basis. The charity Helping Uganda Schools strives to make life easier by providing good education so the children can go on to live fulfilling lives. The charity is an overhead free charity meaning we employ no one and no money donated is taken to pay staff. The day to day work and administration of the charity is undertaken by the Chairman and Trustees. The ethos of the charity is to enable a developing country to find their own solutions to their problems. By this we mean we provide funding and work closely with our partners in Uganda who take the lead in deciding the best way forward. We have worked from a relationship approach based on mutual trust and sound ethical principles and we have found that including all the people from the community gives a sense of ownership and pride. Building and running the schools has also provided jobs and income for the surrounding community and both schools are breaking new ground in Uganda and becoming Centers of Excellence. Our hope in the future is for the two schools to be completed and run entirely from the Ugandan side. The charity will then seek new projects and use the skills we have developed to face new challenges. The Asobora Stories and Uganda Schools Projects are available as downloadable PDF files for you to use in your own schools.